Chop up your aubergines, peppers, and onions and add to the bottom of your slow cooker with your cannellini beans. Make your stock and add to the slow cooker along with your garlic and black pepper. 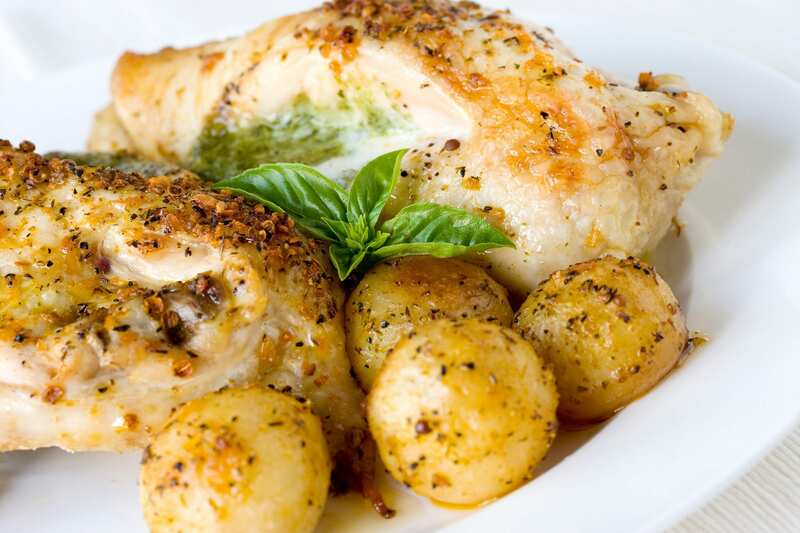 Score your chicken breasts and add the pesto over the top of them and add to the top of your vegetables in the slow cooker. Cook on low in your slow cooker for 6 hours. Serve with cauliflower mash and enjoy! Shout out to our lovely leader Darren Loughnane for this delicious dish. If you liked this recipe then check out this scrumptious Paprika Chicken Bake.